Now it's time for the one that really counts -- the readers' poll from the Star-Bulletin & MidWeek, the publications that combined reach more readers in Hawaii each week than any others. We asked you to let us know your favorites in four categories: Shopping & Retail, Services, Entertainment, and Restaurants & Food. You let us know in the large numbers that give this poll authority and meaning. Thanks to all of you who took the time to mark your favorites. It's because of you and your thoughtful participation that our annual poll -- and this is the sixth! -- receives all the attention that it does. So sit back, relax and see how your favorites compare with those of other readers. 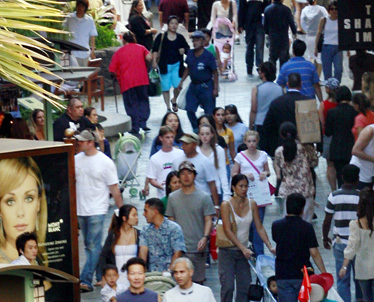 Shoppers at Ala Moana Center crowd the mall. 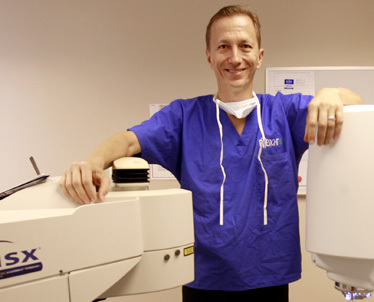 Dr. John Olkowski and Eyesight Hawaii were voted Hawaii's Best last year. 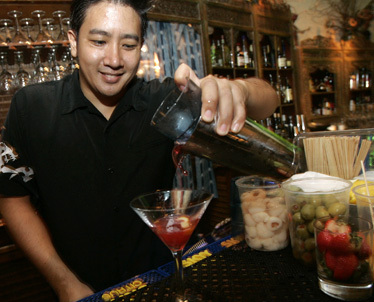 At Indigo Restaurant and Bar in Downtown, Honolulu, bartender Eddie Trongkamsataya mixes a martini. 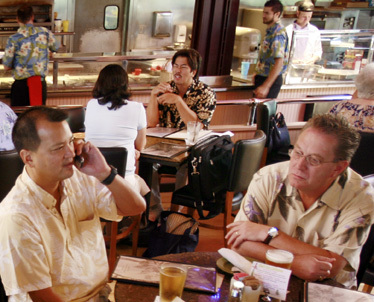 Readers voted Ryans at the Ward Center best spot for a business lunch last year. ... and all the ballot counters!